Francois Paradis ruled Wednesday that the departure of Marie-Victorin MNA Catherine Fournier, who last week quit the PQ to sit as an Independent, means the party is now officially the third opposition party behind the Liberals and Quebec solidaire. But the Speaker agreed with Quebec solidaire's position. "It would be hard to justify that a party that now has nine elected members should occupy a higher position than one that has 10," he said. Fournier took the opportunity to take another dig at her former party. "What should concern sovereigntists is not the order of the opposition (parties) but our capacity to all come together to win," she wrote on Twitter. "That a party's status depends on a single member demonstrates the whole problem." 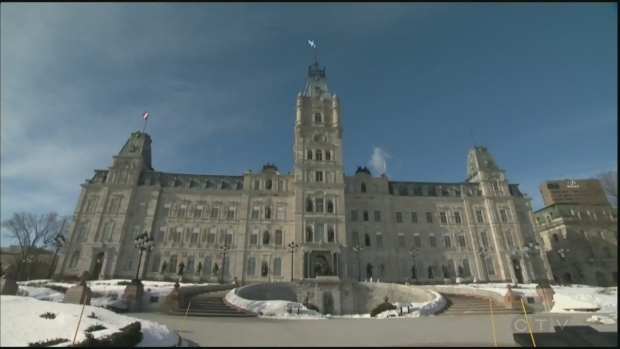 PQ house leader Martin Ouellet said the caucus remains stable despite the Speaker's decision. "Is it sapping the morale of the troops? Definitely not!" he said. Earlier this week, a group of young PQ members issued an open letter in support of Fournier, saying there has been a break between the party and the population of Quebec.